One of the most exciting and immersive fields within elearning is interactive training and systems simulation. Interactive simulations conjure up thoughts of huge boxes containing fighter plane or space rocket simulators. However, many businesses are now making use of the ability to replicate their in-house systems in order to speed the onboarding of new staff or improve the skills of their workforce more effectively. Elaine Teal is an expert in both how people learn and training technologies. 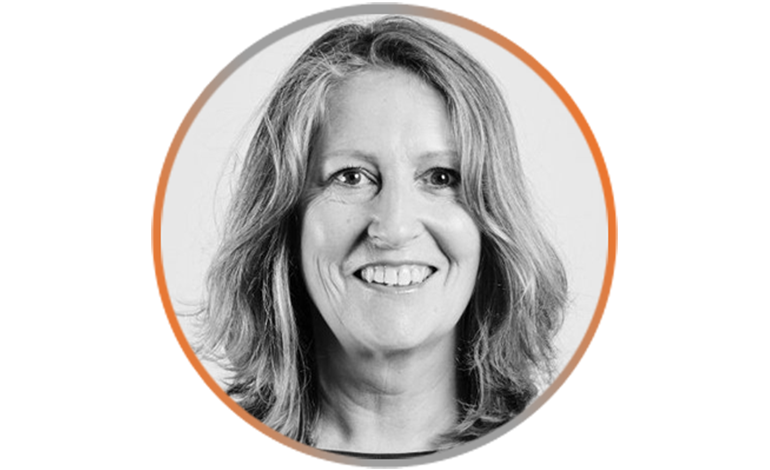 She is director of Day One Tech – a leading elearning solutions company in the UK that makes training faster and more effective for many well-known brands. How did you end up working in elearning? I have a psychology background and this informs a lot of what I do now. After gaining a psychology degree from Manchester Uni, I moved to Australia and gained a Master’s degree in Educational Psychology, going on to work with schools over there. While that focus was of course on kids, it gave me a thorough understanding of how people learn at all levels. When I returned to the UK, I moved into the corporate sector initially as developer in a computer-based-training company called Mentor Interactive Training. eLearning was an emerging concept in the 1980s and my role soon developed into an e-learning designer, and then project manager. When I moved to roles with the MOD, that’s when systems training and simulations became a big part of my work. Why did you get into elearning – what do you enjoy about it? I enjoy drawing on that understanding of how people learn and using it to help organisations to train their staff with systems that really work. There can be too much focus on the tech itself, and I like to work with clients to get to the root of what’s really needed. What does bad elearning look like – what mistakes are often made? It’s often bad because elearning is not created in context for the learner. A lot of it can be generic, which can become both boring and ineffective if not designed well. If it isn’t role-specific, it can quickly be forgotten and it’s often also too theoretical, as opposed to practical. I also feel that there is sometimes an emphasis on quantity over quality, with trainers throwing a lot of information at the learner in the hope that some of it will stick. What is good elearning – what key components make it great and how would you advise someone embarking on an elearning project for their organisation? Think about how you organise the content and how to relate what you want your learners to know to what they already know. Help people to learn in stages, building on top of what they already know. At Day One, what has been to the success that has kept you in business for 2 decades while many others have disappeared? We’ve done a lot of repeat business with some great companies. I think a focus on building strong relationships with those existing companies and meeting their needs has been important, rather than thinking too much about sales and growth. Many elearning companies seem to focus on the next big fad coming over the horizon. How do your knowledge and skills complement those of your co-owner, Andy Cottier? Andy has a Maths and Computing background, so he is very analytical and tech focused. He is very much about creating the technology that works and how things get done, whereas I am more about what needs to get done and why from a learning perspective. That’s why I think we make an ideal partnership. Why have these big names like Lloyds, ghd and Co-op chosen Day One – what is different about you and what have they bought into? Because We Deliver! We place huge importance on getting things done and not letting people down. We do what we say will be done, when we say it will be done. We are very straight forward in that respect. Because Andy and I are involved with the client consultations from the outset, there is no disconnect between Sales and the people who organise and do the work. We are really invested in each and every project. What single project or achievement at Day One are you most proud of? I’m very proud of the work we did with the Internet Society, making an impact in underdeveloped countries, helping them to achieve internet connectivity. This will have a tangible, positive impact on people’s lives. Projects included the training of network engineers in Africa and creating that content in English, French and Spanish. It’s fantastic to be involved in lessening the digital divide in the third world. What is the future of elearning 5 years from now? I really believe that elearning should pay a lot more attention to psychology and behavioural science research that focuses on how we learn and how we can help people to retain their learning and apply it appropriately. I’d like to see a formalised and well recognised route for elearning design education like there is for teaching. This would mean that elearning designers would have a much stronger understanding of the science behind what they do, and learn how to apply the really important principles across a wide range of subject matter, technologies and environments. Want to talk with Elaine about your training needs or learn more about online learning and system simulations? 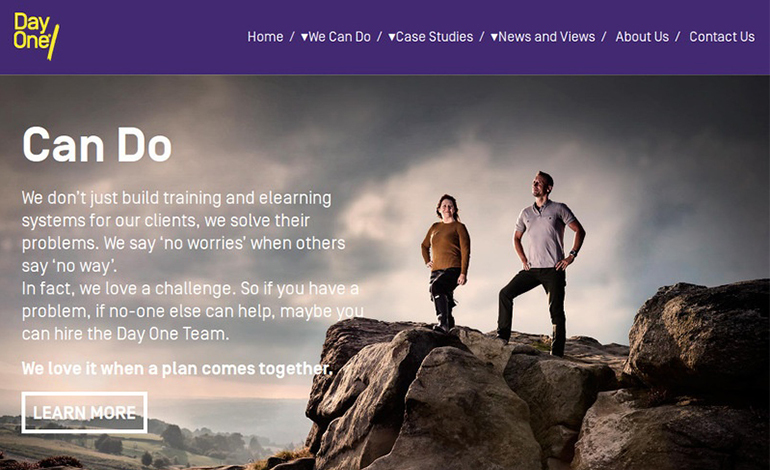 Visit the Day One elearning website to read about their solutions and get in touch with Elaine and the team.